HÀ NỘI – Phúc Gia Bảo 868’s vice director-general was arrested yesterday for his involvement in the company’s fraudulent appropriation of VNĐ300 billion (US$13.3 million) from its customers. Police said Nguyễn Văn Thông, charged with fraud for appropriation of assets, had helped Nguyễn Thế Anh, the Phúc Gia Bảo 868 director-general, to steal money from hundreds of customers using the high-interest loan trick. 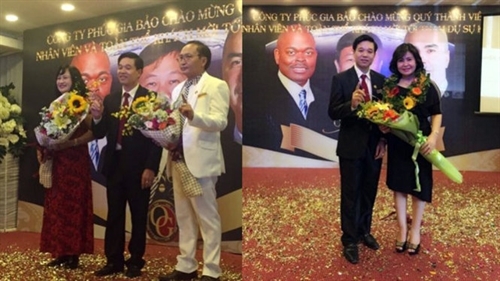 Thông and Anh co-founded the Hà Nội-based multi-level marketing firm Phúc Gia Bảo 868 Commercial and Investment JSC in 2015, and later opened various branches in HCM City, Nha Trang and Nghệ An to raise capital via the pyramid scheme. The two introduced their company to potential customers as the official partner in Việt Nam of an American group, saying they were looking for business co-operation in building networks selling coffee or ganoderma lucidum fungus. The police said Thông directly signed 168 contracts, raising nearly VNĐ13 billion ($577,700) from the company’s customers.